At the January 2018 Rose Bowl Parade, four New Jersey families will be in Pasadena to see the Donate Life Float in the Tournament of Roses Parade. One of these families will be the Garcia family from Newark, NJ. Making its 15th appearance in 2018, the float serves as a memorial to organ and tissue donors and a platform for donor families, living donors and transplant recipients to inspire the world to save and heal those in need through the gift of life. With support from Donate Life America and other affiliate organizations, NJ Sharing Network, the family and friends of Ezequiel and Iris Garcia will gather in The Learning Center at Clara Maass Medical Center, One Clara Maass Drive in Belleville on Thursday, November 30th at 6:00 PM to finish a floragraph – a portrait that is made from natural materials, such as flowers and seeds in the likeness of organ and tissue donor Reinaldo Garcia, who passed away suddenly in 2011. Once the floragraph is complete, it will then travel to Pasadena to be placed on the Donate Life Float. Clara Maass Medical Center is a hospital partner of NJ Sharing Network and where Ezequiel and Iris return to share their son’s story with staff. García’s floragraph is sponsored by Bridge to Life Ltd, whose mission is to improve organ transplants through licensing and developing new preservation solutions and technologies and providing the highest quality of service to organ procurement organizations and transplant centers. García, who lived in Newark, NJ became a tissue donor at the age of 29. Growing up, García was a very healthy and active boy, who, early in life, demonstrated a high degree of intelligence, curiosity and ability to play sports. He finished his undergraduate degree in Education and became a Physical Education teacher at a local High School in Newark. He was beginning his sixth year as a teacher when he passed away in September 2011. García had a very pleasant personality and was passionate about everything in life. He loved to coach younger athletes and volunteer for all kind of events and activities. According to his family, offering Reinaldo’s tissue for donation is the most important decision they have ever made. His father, Ezequiel García, and his mother, Iris, are both volunteers of NJ Sharing Network and are passionate advocates of the organization’s mission. Ezequiel recently joined the Foundation Board of Trustees at NJ Sharing Network. To date, there are over 120,000 people waiting for a transplant and 22 die each day while waiting for a transplant, but one donor can save eight lives and one tissue donor can enhance the lives of over 75 people. In New Jersey, there are over 4,000 people on the waiting list and one person dies every three days waiting. 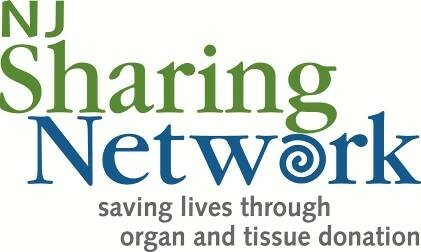 New Jersey residents can help save lives by registering as organ and tissue donors at www.NJSharingNetwork.org, talking about it with their families and friends and joining NJ Sharing Network at its next event. NJ Sharing Network saves lives through organ and tissue donation. Located in New Providence, the organization recovers organs and tissue and belongs to a national network that helps the 120,000 people waiting for a transplant. In 2016, more lives were saved than ever before. Thanks to the selflessness of New Jersey organ donors and their families who said yes to donation last year, 613 people are alive today. This year, the organization is celebrating 30 years of saving lives. To learn more, get involved and register as an organ and tissue donor, visit www.NJSharingNetwork.org. Located in Belleville, NJ, Clara Maass Medical Center, an RWJBarnabas Health facility, provides a complete continuum of care to residents of northern New Jersey. Clara Maass recently completed state-of-the-art campus expansion project featuring a new four-story 87,000 square foot building with a private, 32-bed Intensive Care Unit, new Main Entrance and Lobby, Retail Pharmacy, Patient Registration Area and designated new space to accommodate our future Emergency Department expansion. Clara Maass’ services include: The Cancer Center, Center for Breast Health and Disease Management, Radiation Oncology, Infusion Therapy, Cardiac Services Elective and Emergency Angioplasty and Cardiac Rehabilitation, The Pain Management Center, The Joint & Spine Institute, a Vascular Lab, The Vein Center, The Wound Center, The Center for Sleep Disorders, The Bariatric Surgery Center, Rehabilitation; Therapy Services which includes, physical therapy, occupational therapy and speech therapy, The Eye Surgery Center, Maternity Services and Parent Education, Pediatrics, Center of Excellence for Latino Health, and the Health and Wellness Center. Clara Maass has been recognized nine Grade ‘A’ scores for patient safety and quality by The Leapfrog Group. It is listed by the American Hospital Association as one of Healthcare’s Most Wired hospitals. In 2016-17 Clara Maass has received the Healthgrades Obstetrics and Gynecology Excellence Award and the Labor and Delivery Excellence Award. Clara Maass received Disease Specific Care Certification from the Joint Commission for Acute Coronary Syndrome (ACS), Congestive Heart Failure, Hip Replacement, Knee Replacement, Cardiac Rehabilitation and Advanced Certification in Palliative Care. Clara Maass earned Clara Maass’ steadfast commitment to improve the health and well-being of the communities it serves is exemplified through award winning programs including the nationally recognized HELP Volunteer program, recipient of the American Hospital Association 2017 HAVE Award, and the Wellness Assessment Van for Elders (WAVE) which was recognized as the New Jersey Hospital Association’s 2017 HRET Community Outreach Award. For a physician referral or more information about Clara Maass, call 1-888-724-7123 or visit www.rwjbh.org/claramaass.